If you’re serious about barbecue you should probably buy a dedicated smoker. Pound for pound it’s hard to beat a smoker that’s designed to do one thing well like the Weber Smokey Mountain. For many of us, having a separate smoker and grill just isn’t an option though. Whether you’re short on space, cash or you just want the flexibility to smoke and grill on the same unit, you’ve still got plenty of options. 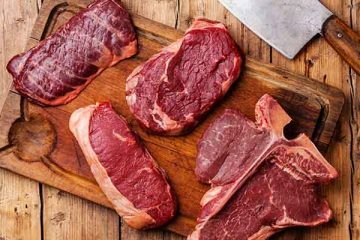 In this guide we cover the best grill smoker combos that excel at both tasks. While you can rig almost anything into a smoker grill combo with enough mods, we’ve focused on units that can do both jobs well without needing too much fiddling around. To help you choose, we’ve made selections to suit multiple budgets and types of fuel. As the name implies, the Genesis ll E-310 is marketed as a grill. And as a grill, the genesis represents the best value you can get in this price range. With 507 square inches of cooking space and three burners capable of outputting 38,000 BTUs the E-310 makes an excellent dedicated grill. We’ll go into more detail later, but the three burners and excellent thermal insulation helps you use the grill for low and slow cooking. The assembly for a grill of this size is relatively easy and should take most people around 30-45 minutes. Outstanding build quality – While the BTUs per square inch is lower than some other grills, the efficient design of the Genesis ll helps to hold in the heat that it creates. 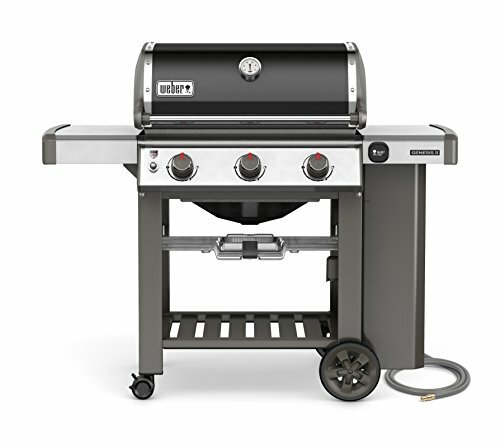 The components are well made and sturdy, and you can tell that Weber have put a lot of thought into the placement and functionality of every part of the grill. Even heat distribution – Unlike some cheap grills that need you to babysit them, the Genesis ll distributes the heat evenly which prevents hot spots and flare ups. Generous warranty – While you shouldn’t need to use it (due the build quality we were just harping on about), you get the added piece of mind with a 10 year warranty. No cabinet doors – This shouldn’t be an issue for most people, but if you have critters around your property then not being able to close off access to the grease tray can be annoying. Get the latest price for the Weber Genesis ll E-310 on Amazon. We don’t need to go into any more detail about what makes the E-310 a great grill. What you really want to know is how to set it up for smoking and how it perform cooking barbecue. Great barbecue requires steady low temperatures (between 225 – 250°F), and smoke for the first few hours of cooking. The E-310 shouldn’t have any problem with maintaining temperatures (although a good wireless thermometer is still recommend). You’ve got a couple of options for producing smoke. For this method you’ll need a large coffee tin or similar with six holes punched in the bottom. Next you’ll need some wood chunks (not the more commonly found chips). I like using Apple but there are lots of options out there. You need to get a couple of good sized chunks started. The easiest option is to use a Chimney Fire Starter. Commonly used for starting charcoal, but you can use one for igniting your smoking wood. Once the wood is starting to smoke place it in the tin. Then you want to remove the grate off one of the burners and place the tin on top of it and then turn it on as low as it will go. Then you place your meat on the other side with the burner off. If it gets too hot at the start you can cut the burner for a few minutes. This should allow you to maintain around 225. You’ll need to reload the wood once or twice, but after about 4 hours the meat stops taking on smoke. This option is much easier, but does require the purchase of a smoke generator. 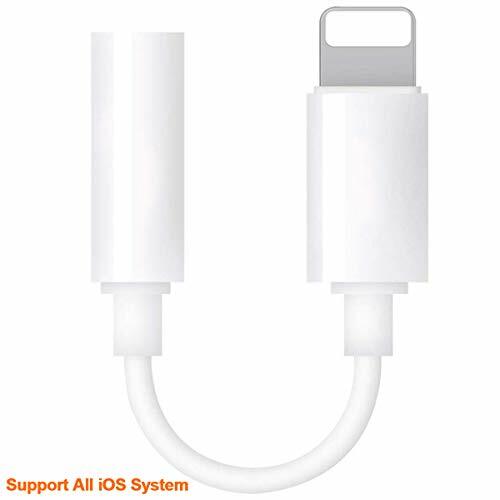 Luckily this little tube will only set you back around $25. This tube works great and can produce smoke for hours at a time when you follow the instructions correctly. You load it with pellets and then place it near heat and it generates smoke for up to 4 hours. 12" size makes it easy to use with almost any grill! While you can get a variety of different shapes and sizes, I find that the 12″ tube is the most versatile. Make sure not to put it directly over the heat. For example I would put mine in the middle and use the left burner. 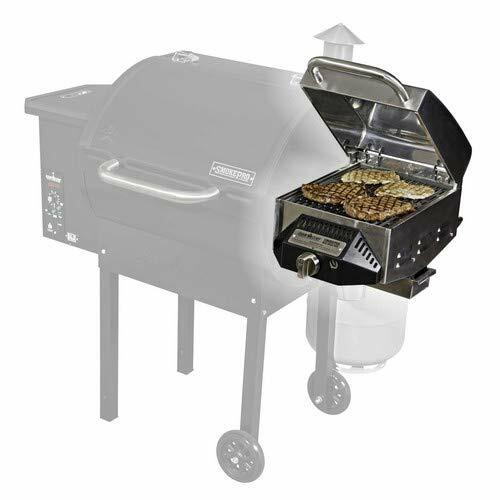 Whether you go for the Amazen Pellet smoker or rig your own wood holder, the Genesis ll E-310 is an excellent grill that can easily double as a smoker with some simple setup. Best for: The traditionalist who doesn’t mind a bit of extra work cooking with charcoal. As a grill, the Weber Kettle needs no introduction. First created way back in 1952, this classic grill is now common place in millions of backyards around the world. What you might not know, is that with a simple variation on how you place the charcoal, a standard Weber Kettle can be turned into an excellent smoker. While the Genesis ll E-310 is primarily a grill that can be used as a smoker with some clever tricks, the Weber Kettle can easily hold it’s own. Especially when compared with some similarly priced gas or electric smokers. The Kettle comes in numerous different sizes so you can size up or down depending on how much food you plan on cooking. We wouldn’t recommend going too small as that can make it difficult to use as a smoker. The 22″ classic original is a great option for the price. If you think you’ll need a lot of space, the 26″ version is also excellent. 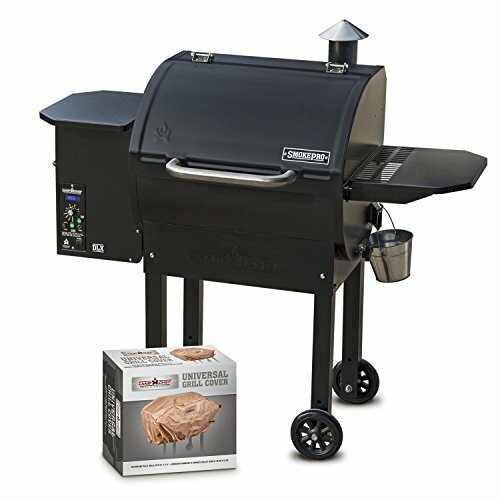 This is definitely the best grill smoker combo if budget is an issue for you. Durable construction – Pressed sheets of steel are coated with porcelain enamel to form the body of the kettle. This ensures a long lasting product that shouldn’t rust, but stilll make sure you invest in a grill cover if you leave it outside. Well-sealed and air tight – For such a cheap option you get outstanding heat control which allows you to maintain stable temps for a long time, while burning less fuel. Light and portable – The two wheels attached to the base of the legs makes this grill very easy to pack up and take camping. Like the Genesis E-310, you’ve got two options for setting the Kettle up for smoking. One is free, and the other is a third party add on that is also useful for grilling. Get the latest price on the Weber Kettle on Amazon. The easiest and cheapest way to setup a Weber Kettle for long low and slow cooks is the ‘snake’ (also called the ‘fuse”) method. While you can find lots of extensive guides around, the process is actually quite simple. You can see this in practice in this excellent video. Make a ‘C’ shape by stacking coals around the edge of the charcoal grate. The number of coals and length of the snape will depend on the size of your grill and how long you plan on cooking for. Pour some lit coals onto one end of the snake so that they are touching the unlit coals. You can turn you charcoal chimney upside down and use the smaller section to measure out the right number of coals. Add a few large chunks of wood spread out along the section with the lit coals. Add the grill grate, and then place the food above the water pan to protect it from the heat of the coals. That’s all there is to it. You’ll need to play around with how many coals to use, and monitor the internal temp closely with a wireless thermometer and keep your vents adjusted to main a temp between 225 – 250°F. Option 2: The Slow ‘N Sear. The Slow ‘N Sear is a stainless steel basket that clips on to your Weber Kettle. Made from heavy duty 304 stainless steal, the attachment is made up of a charcoal basket and a water reservoir. This keeps everything nicely contained, and leaves more room to place your food. You can also cook for 8 hours on a single load of charcoal. 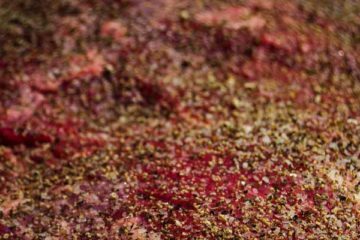 Check out how Adrenaline Barbecue use the Slow ‘N’ Sear to cook ‘Last Meal Ribs’ on a Weber Kettle in this video. A dedicated smoker like the Smokey Mountain is always going to outperform the Weber Kettle. But with the right setup you’ll get pretty damn close. For much less money, and much more flexibility, it’s an excellent option if you want the flexibility to grill or smoke on the same device. And if you decide to upgrade to a dedicated smoker like the Weber Smokey Mountain in the future, you’ll still get a lot of use out of your trusty Kettle. While they have the word “grill” in the name, pellet grills are much more of a hybrid than the name implies. 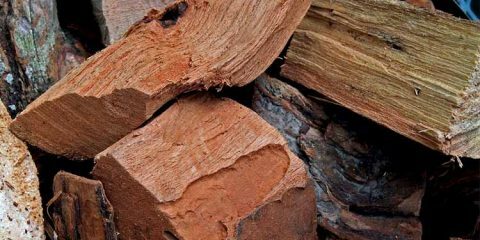 Think of them as an outdoor oven that runs on electricity, but generates heat and smoke by burning small cylindrical wood pellets. Like an oven, you dial in different pre-set temperature settings on the thermostatic controller. The Camp Chef lets you choose between 175 – 400°F. It also offers several other pre-sets like “High”, “LO Smoke” and “HI Smoke”. You can easily hold at an ideal smoking temp of 225-250° consistently for many hours. We recently named the Camp Chef our pick for best all around pellet grill. It’s a mid sized grill that strikes a perfect balance between quality and value for your dollar. The temperature control is super simple and gives you plenty of options to dial in depending on if you are grilling or smoking. With 429 square inches of cooking area you can easily fit several racks of ribs at once. One of the benefits with a pellet style cooker is they are super fast to fire up. You’ll be cooking within 10 minutes. The smoke stack has been cleverly positioned behind the unit, giving you more space to work with on the right hand side. Unless you are cooking in extreme conditions this grill is super efficient and doesn’t chew through pellets like some of the cheaper options. The one year warranty is below industry standards. It’s a shame Camp Chef couldn’t stretch to 3+ years because this smoker is a solid, well built unit that should last you for many years. While the Camp Chef can easily stay in the ideal smoking temp range, and get as hot as 500°F (hot enough to produce crispy skin on a chicken), it’s never going to compete with a dedicated grill for searing. This is why if you want to use it as your dedicated grill and smoker, we would really recommend the optional Sear Box add on. The Sear Box attaches to the side of your smoker and allows you to grill at blistering hot temperatures up to 900°. This addition makes the Camp Chef our most expensive option, but it makes up for the extra cost in convenience and versatility. 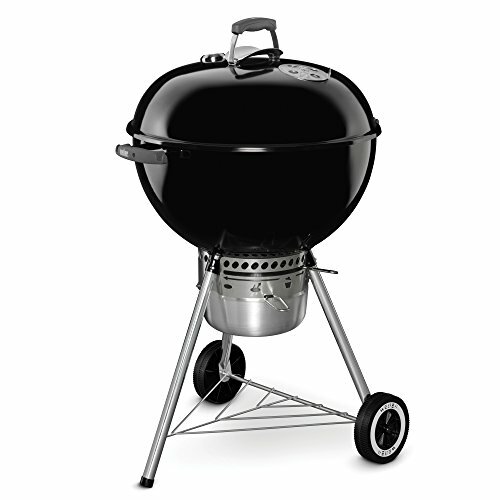 If you still can’t decide we have a detailed guide comparing gas and pellet grills. Get the latest price for the Camp Chef Deluxe on Amazon. Hopefully you’ve found this guide useful and are now confident in buying a grill smoker combo. But if you think you’re going to be smoking the majority of the time, or you just want to keep your options open we suggest you review all your options. We’ve compiled the following guides to help you understand the pros and cons of each type of smoker, as well as comparing the best models across different budgets. 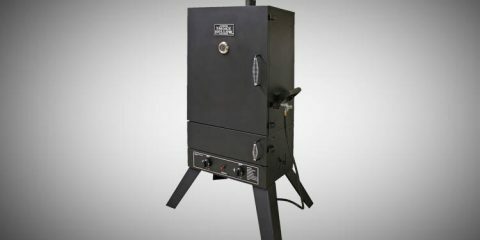 If you do decide to upgrade to a dedicated smoker, you can usually get a pretty good deal buy selling your old smoker on Ebay. But let’s be honest, once you get the barbecue obsession, collecting a range of smokers and grills is part of the fun.